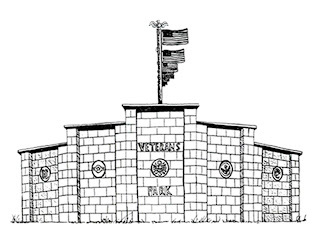 I was commissioned to create a promotional rendering of this monument for publication in a local newspaper. Construction on it had not yet begun; I was given the 2D blueprints, and tasked with translating the schematics into an illustration. 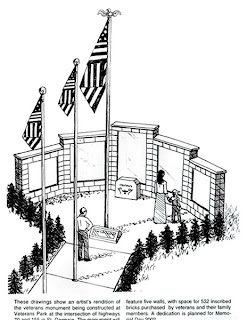 The memorial was constructed in St. Germain, Wisconsin.